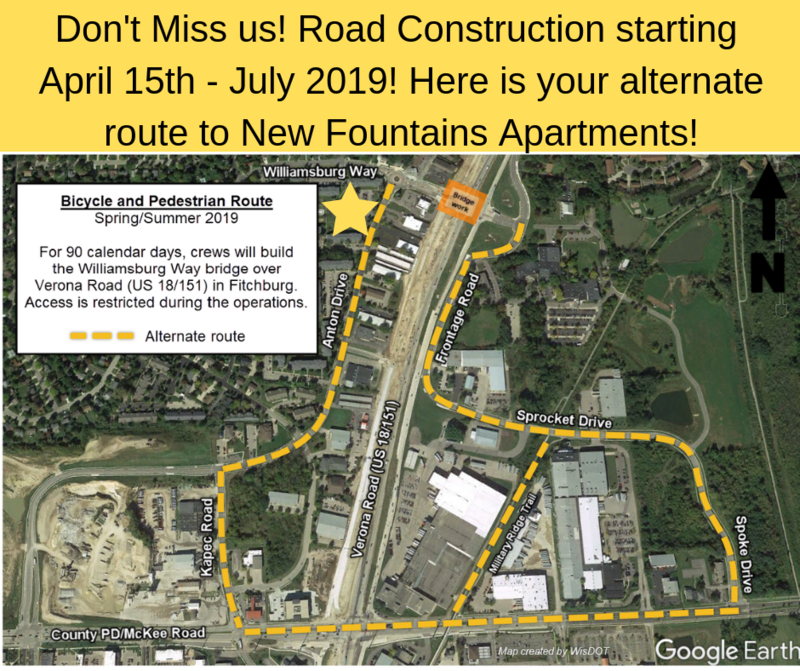 Welcome to New Fountains Apartments in Fitchburg, WI! Welcome to your new apartment home at New Fountains in Fitchburg! Enjoy contemporary floor plans with open concept, light-filled rooms and adjoining balconies. Indulge in kitchens with walk-in pantries and generous closet space throughout. Open your blinds and verticals to let the sun shine in. Stroll on the beautifully landscaped grounds; this park like setting is the perfect refuge from the noise of the city. Relax at your choice of two outdoor pools; a refreshing break after a stimulating workout in the fitness center. Stop in and say hello! Please be advised of upcoming construction. 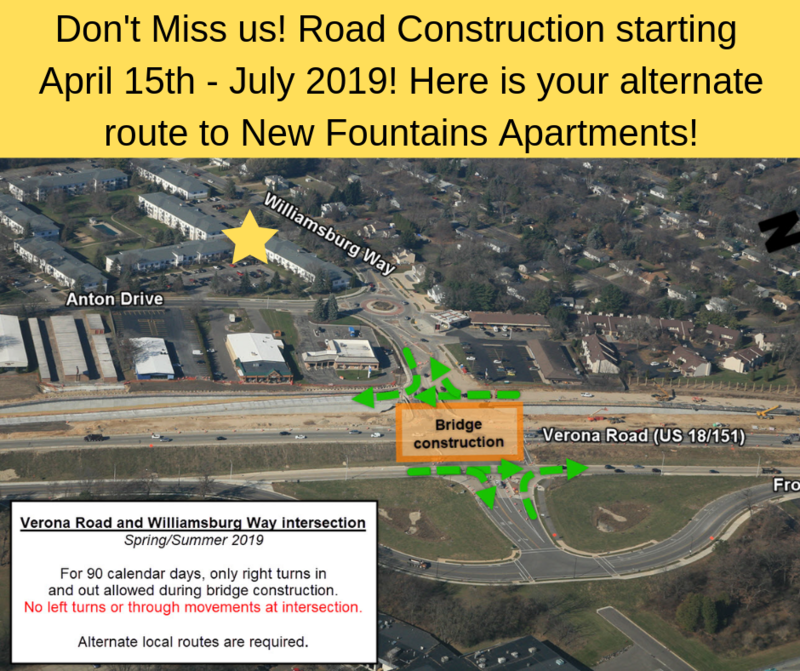 Let New Fountains re-route you to your new home today!